I agree, flags are not languages! But worth noting that the Google Translate interface shown here is intended for those who understand English who may be clicking on ANY language for which they require a quick ‘translation’. 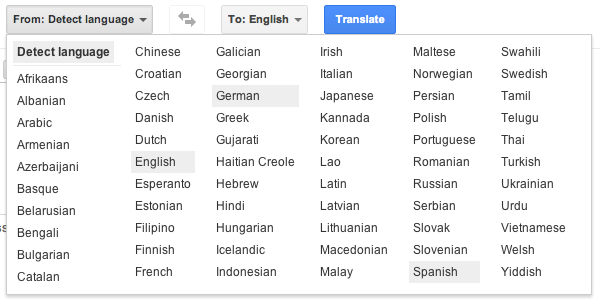 If you change your preferred language on Google then the language names are given in that language, which makes sense – as long as your language is supported. I take exception to your assertion that “English is…an official language in over 50 countries — including the United States”–English is not an official language in the United States. Per our guarantees of free speech, the government may not enact any official language. Thanks for pointing this out — I’ve amended the post to correct this! So Interesting! 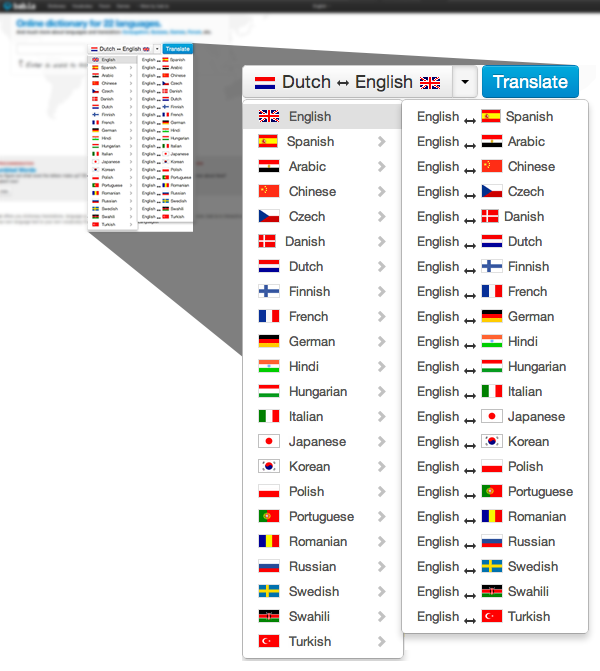 As a translator and interpreter, I was trying to design my name card, and was looking for language flag icons to use when I stumbled upon this website. Also I agree so much with what is being said here, I dont know of a good alternative to flags… Generic speach bubble can mean so many more things than a language. Also, the google translate language selection dropdown menu, in my opinion, is a disaster. It feels so cumbersome to find the language I’m looking for, every time. It just takes one too many seconds before my eyes can correctly identify the difference between Japanese and Javanese, or Norwegian and Nigerian. Previous Previous post: Bethesda Blog: language or location?